Harrisburg Chiropractor, Harrisburg PA - Decisions Based on Fear? Are Your Decisions Based on Fear? Believe it or not, most health decisions today are based on fear. By this, I mean that the choices that people make about their health on a day-to-day basis are not because they want to enhance their individual health, but are rather out of fear of succumbing to some sort of sickness or disease. Over my many years in health care, it has become very apparent to me that most people operate in a state of severe contradiction and fear related to their health care. In most instances, this type of fear is so engraved in the way we have been taught that we are not even aware that we are reacting to it. Even the thought of preventative care itself is not wellness, but rather an attempt not to be the victim of a sickness or disease. Getting rid of fear in your health decisions means doing things that enhance your wellness, not just avoiding sickness. If it’s dark, and you are at home, why do you turn on the lights? To be able to function better and be more productive in your house and carry on your needed household activities. To be able to move around in your house without tripping over anything and possibly injuring yourself. You turn on the lights because you are afraid of the dark. It’s probably obvious that answer “c” is an action taken out of fear. But, what is probably not as obvious is that so is answer “b”. If the answer “b” came into your decision making, then you were turning on the light for preventative reasons. In fact, you were turning on the lights because you were afraid of being injured. Only choice “a” is the choice that was not motivated by fear. I’m sure that you don’t run around the house at night in deep thought as to why you turned on your lights. The decision to turn on the lights is at this point automatic. But, the basic reasons why you turn on the lights are still present, even if you don’t consciously think about it. The same is true with how most of society makes decisions on health care. 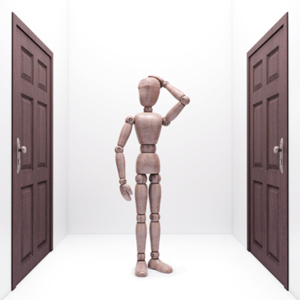 In many cases, the decision is not based on deep thought, but is, rather, automatic. But even if automatic, the underlying reasons for most of the decisions about health today are based on fear. In order to better illustrate this, and to see if you make your decisions based on fear, take the short quiz below. Some of the answers may seem obvious. Others may seem on the surface not to be based on fear, but upon a closer look, are based on prevention which is a form of fear. See if you make your health decisions out of fear, or an attempt to enhance your own personal wellness. After you’ve answered all the questions, check to see if your answers were based on fear. If your child falls and scrapes his or her knee, and you decide to put something on it like mercurochrome, bactine, iodine, peroxide or something similar, why did you do it? If you don’t, infection will set in and serious problems could occur. Applying medicine kills bacteria and prevents infection. The medicines help your child’s body heal the cut faster. If your answer was “a”, your response was strictly out of fear. Fear that something serious would happen to your child if you didn’t act to help. Whether or not something would happen doesn’t matter, you are not taking any chances. Making this decision out of fear doesn’t make you a bad parent or anything, but fear does close your mind to other alternatives that may exist. If you say that there aren’t any other alternatives that make sense, then it was fear that kept you from ever searching for them. If your answer was “b” you’re still acting out of fear. By trying to prevent something you are in fear of it. Although this fear is not as great as answer “a”, your decision in this matter is still clouded by fear of a consequence rather that an honest attempt for a positive effect. Only if your answer was “c” did you not act out of fear. If you believed that the medicine enhances your child’s defenses and helps him or her heal faster, you acted without fear. Unfortunately, answer “c” is not true. Medicine in no way enhances anyone’s innate healing abilities. But, by answering “c”, you are probably not blinded by fear and are open enough to see other methods that may, in fact, promote healing and wellness in your child. If you’re watching your diet and keeping your fat intake low, why do you do this? Because fat can buildup in my arteries and can lead to heart disease, stroke, and other serious health problems. Because I want to lose weight, and I want to prevent health problems in the future. Because I want to eat food that is healthy and will keep my body functioning at its optimal potential. Here again if you answered “a” your answer was out of fear. Fear that you may come down with some serious illness, disease or life-threatening condition. Even answer “b” of prevention, was based on fear to a lesser degree. Only answer “c” was based on wanting to accomplish a positive effect without fear of some other negative consequence. There is a big difference between wanting a body that is functioning at its “optimal potential”, and wanting to avoid disease or sickness. One is based on wanting a positive, the other based on avoiding a negative. If you have your children vaccinated, why do you do this? Because vaccinations create a healthier immune system in my child and allow the defense systems to function at a high level of their innate abilities. Because I’m a responsible parent and I don’t want to expose my child to any unnecessary health risk. Because if I don’t I run the risk of having my child get some very serious and potentially life-threatening diseases. Because it’s the law and I don’t have a choice. Probably no issue more than this one really tests your perspective on health issues. Among my patients, no issue has stronger feelings. Yet, I can honestly say that none of my patients actually has all the facts and information on this topic. In fact, very few people investigate this or even read much literature on this subject, yet most of people have strong opinions one way or the other. My responses to your answers on this subject are based upon the personal research I have done as well as the volume of literature I have read on the subject of immunizations. If your answer was “a” you did not answer out of fear. Very few people actually use this answer and there’s a good reason for this. Nothing in answer “a” is true. Immunizations do not create a healthier anything. Immunizations also do not allow your child’s immune system to function at a higher level. Answer “b” is probably the most common answer given for this question, but it is based on fear. If you don’t really know how immunizations are suppose to work, and you don’t know the reality about what protection you are, or are not getting, then your decision to immunize your children is based on the fear of the diseases you immunize them against. If this were not true, would you immunize your child against an illness that is never serious? Of course not. In fact, immunizations are only available for conditions that most people consider serious or dangerous. This is because most people would not bother with a vaccination for something they didn’t consider a threat. If you answered “c” your answer was purely out of fear. Fear of a terrible disease or consequence to your child. This fear is so real that most people accept this fear as reality without ever seeing any evidence themselves. This fear is what drove millions of people get the recent flu vaccine. Even though there was clear evidence that the vaccination being distributed was not even the right one for this recent flu outbreak. If you answered “d” the only real fear you have is of the authorities telling you that your child can’t go to school, or that you are a bad parent or something. Unfortunately, this is the weakest argument for getting vaccinations. First of all, it is not true that you have no choice. There are exemptions for religious reasons and health reasons. But, the logic behind this law escapes me. If the authorities want us to believe that immunizations are such a good thing, why do we need a law that tries to force us to have them against our will? Why should you go to the chiropractor to get adjusted? To get rid of my back or neck pain, or what ever else I have, so that I can feel better. To prevent myself from having future pains or problems like the ones that brought me to the chiropractor in the first place. To allow my nerve system to function free of interference, therefore allowing my body’s own innate abilities to function and express themselves at their highest potential. 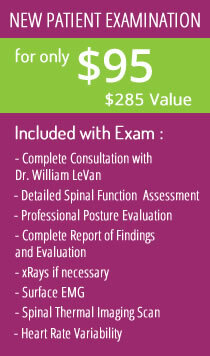 Although answers “a” and “b” are the most common reasons that people go to chiropractors, they are both based on fear. In these cases it is usually the fear of pain. Pain is a big motivator. It is what makes most people seek out some form of health care. Unfortunately, pain is a warning after a problem has shown up. If pain is your motivation for seeking chiropractic care, this is a response based on fear. Answer “c” is the only answer here that is both true and not based on fear. Wanting your body to function on a better and healthier level is a good non-fear reason for seeking chiropractic care. This is commonly the reason that chiropractors themselves and their families receive chiropractic adjustments. Although this is not the reason that most patients come to the chiropractor, most chiropractors wish it were.